Gigi Dall’Igna, General Manager of Ducati Corse, knows Ducati’s chances of securing the first MotoGP title since 2006 at the Valencia season’s finale are very slim. But nothing is impossible. In Sepang, Ducati driver Jorge Lorenzo chased his first Ducati victory when the front wheel slipped away, and he avoided a fall. After his slippery start, Lorenzo didn’t attack and crossed the finish line behind Dovizioso. Now Andrea has a chance of claiming the MotoGP title in Valencia. “Our drivers are smart enough to understand what is important for a team like Ducati. Jorge is a great driver and a great guy. He understood all this and made the right decision. Victory is the most important thing. We had a great race in Sepang although conditions were tough. Both drivers – Jorge and Dovi – drove beautifully. 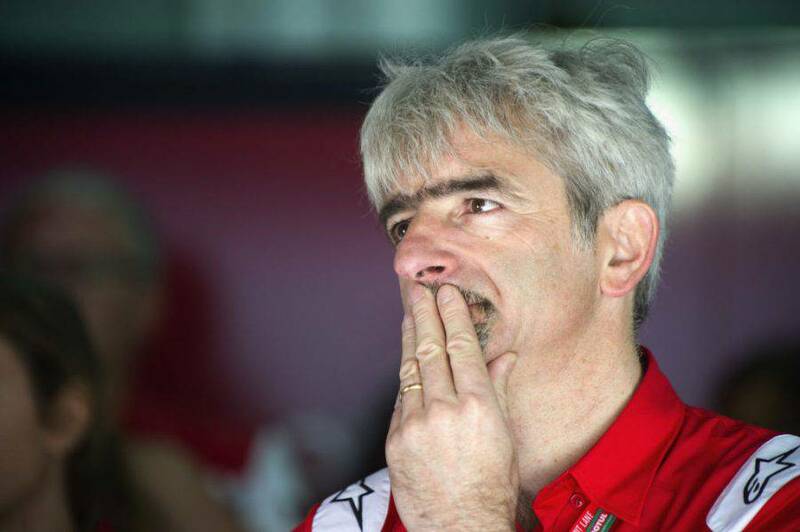 I’m thrilled.” Gigi Dall’ Igna, General Manager of Ducati Corse, told MotoGP main site. What are the chances that Ducati will celebrate the first MotoGP title since 2006 in Valencia? Previous ArticleMovistar Yamaha: No test team in 2018?